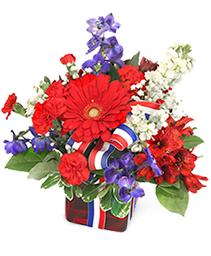 "RED WHITE AND TRUE BLUE" is an ideal arrangement for the passing of a military friend or relative, or, just for a 'true-blue friend.' Call A New Leaf Flowers and Gifts, either by phone or on-line. 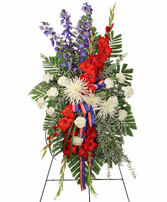 Give a big 'Salute To A Service Member' with this memorable red, white and blue spray of flowers on an easel. 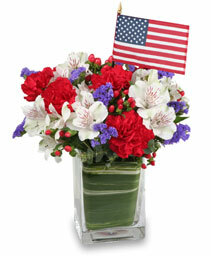 Show your appreciation for the service they gave to you and your country. Be sure to call A NEW LEAF FLOWERS AND GIFTS, or contact us online. 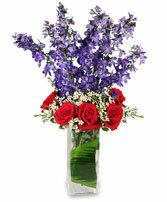 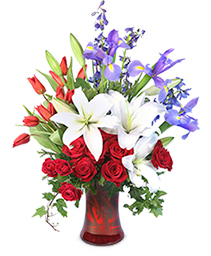 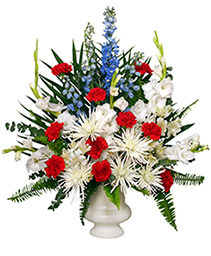 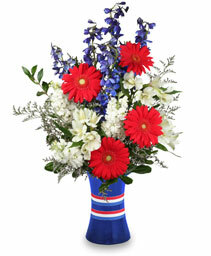 Order a brilliant patriotic arrangement from A NEW LEAF FLOWERS AND GIFTS. 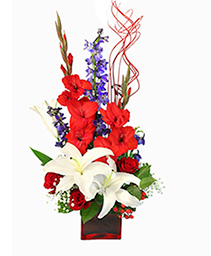 Our flowers relay messages of acknowledgment to fallen soldiers, veterans, those who are currently serving, and their military families. 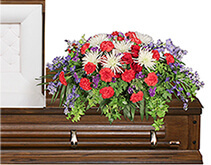 These patriotic flowers are perfect for Memorial Day, Fourth of July, or a soldier’s final flight. 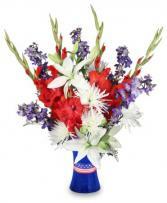 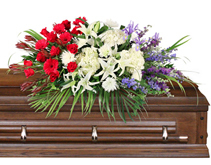 We offer a range of red, white, and blue floral creations to celebrate, remember, or decorate. 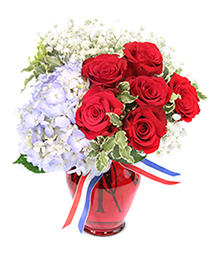 Just like the US flag, we want the red of our arrangements to represent valor and hardiness, the whites purity and innocence, and finally, the blues vigilance, perseverance, & justice. 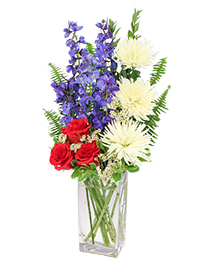 Remind our military and their families that the sacrifices they have made will never be forgotten, and that we are thankful for their service and their family’s sacrifice. Send or order a patriotic arrangement today.